ELEANOR MCCALL ZACHARY – in Woburn, April 5th at ninety-four years of age. Beloved wife of the late Robert W. Zachary. Devoted sister of Francis X. McCall, his wife Claire of Woburn and the late Dr. Edward H. McCall, his late wife Marie. Cherished step-mother of E. Carolyn Zachary, Robert W. Zachary, Jr., Betty A. Stevenson, all of Maine. Eleanor is also survived by her very devoted niece Carolyn Taranto of Burlington, 4 step-grandchildren, 4 great-grandchildren and several nieces, nephews and their families. A Funeral Mass will be celebrated in St. Barbara’s Church, 138 Cambridge Road, Woburn, Monday, April 9th at noon. Relatives and friends are invited to call at the Lynch-Cantillon Funeral Home, 263 Main Street, Woburn, from 10:15 – 11:45 a.m. prior to the Mass. For directions or to leave an online condolence, please visit www.lynch-cantillon.com or Facebook under Lynch-Cantillon Funeral Home. ELEANOR MCCALL ZACHARY – in Woburn, April 5th at ninety-four years of age. Beloved wife of the late Robert W. Zachary. Eleanor was an independent woman with a wonderful sense of humor. She was a graduate of Salem State College and spent her early years as a business secretary at Mass General Hospital. 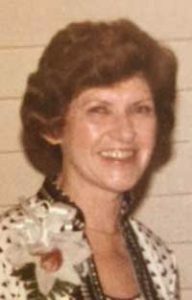 She went on to teach business classes at Woburn High School until her retirement in 1979. After retiring, Eleanor moved to the Linderhof Country Club in Glenn, NH where she began a new career in property management. Eleanor enjoyed travel, skiing, and golf throughout her life. In 1994, Eleanor married Robert Zachary. They lived in Glen, NH and Tucson, AZ, and traveled extensively in the United States, Europe, Great Britain and Ireland. Following her husband’s death in 2006, Eleanor continued to split her time between Arizona and New Hampshire until 2012, when she returned to Woburn. Eleanor was the devoted sister of Francis X. McCall, his wife Claire of Woburn and the late Dr. Edward H. McCall, his late wife Marie. Cherished step-mother of E. Carolyn Zachary, Robert W. Zachary, Jr., Betty A. Stevenson, all of Maine. Eleanor is also survived by her very devoted niece Carolyn Taranto of Burlington, 4 step-grandchildren, 4 great-grandchildren and several nieces, nephews and their families. A Funeral Mass will be celebrated in St. Barbara’s Church, 138 Cambridge Road, Woburn, Monday, April 9th at noon. Relatives and friends are invited to call at the Lynch-Cantillon Funeral Home, 263 Main Street, Woburn, from 10:15 – 11:45 a.m. prior to the Mass. For directions or to leave an online condolence, please visit www.lynch-cantillon.com or Facebook under Lynch-Cantillon Funeral Home. Very special lady. Special teacher held fondly for all these years. She has forever left her mark on me. RIP. I hope she knew she reached me. Eleanor was a blessing to my father; together they packed his final years with travel and fun. She was a kind and caring soul with a quick and delightful wit that always made me smile. My love and deepest sympathy to Frank, Claire and Carolyn, and to all who loved her.